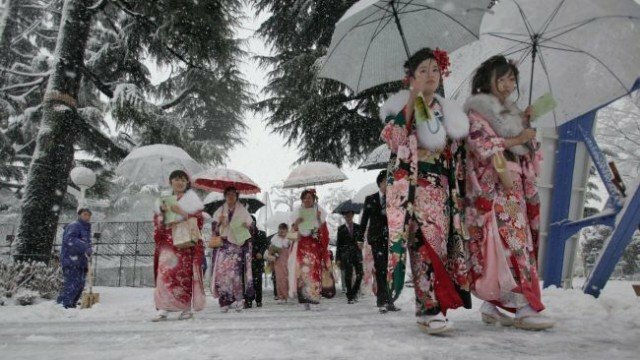 Japanese authorities warned Tokyo residents to stay indoors as a severe snow storm hit the capital. Correspondents say it is the first such warning for the city in 13 years. Hundreds of flights have been cancelled, roads closed and some train services suspended. Local media has reported that at least 43 people have been injured because of snow-related accidents, with as much as 1.6 in of snow recorded on Saturday morning in Tokyo. Weather forecasters have warned that with a rapidly developing low pressure front heading towards eastern Japan, more snow can be expected. Last year parts of northern Japan had as much as 18ft of snow – a record-breaking amount that caused buildings to collapse under its immense weight.